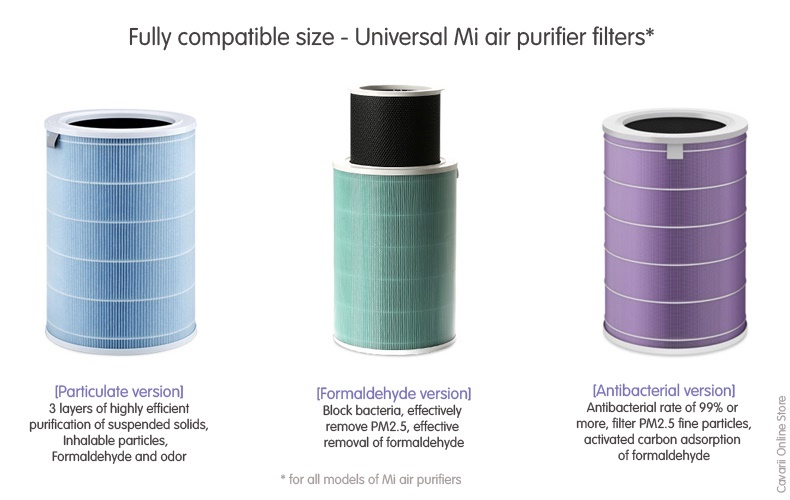 Note: Xiaomi Mi air puifier filter is compatible with Mi air purifier 1 and Mi air purifier 2/2s and Mi air purifier Pro. 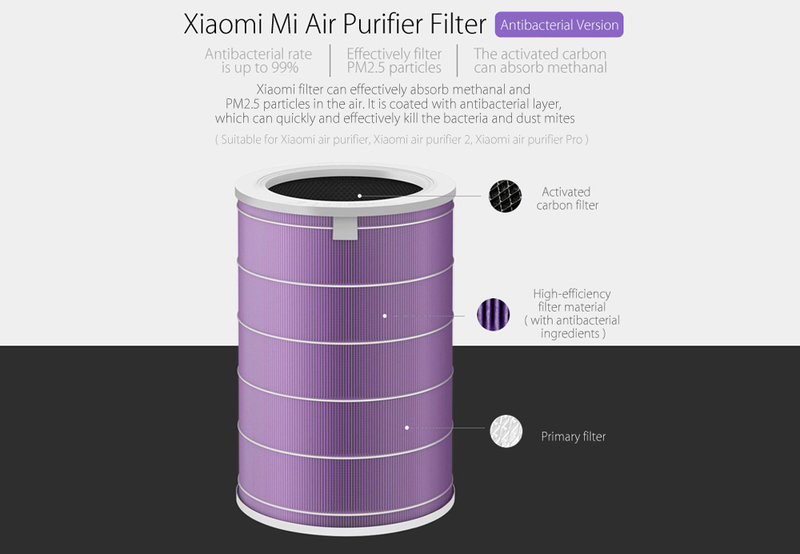 This is 100% Authentic from Xiaomi, DO NOT compare price with such Fake one! 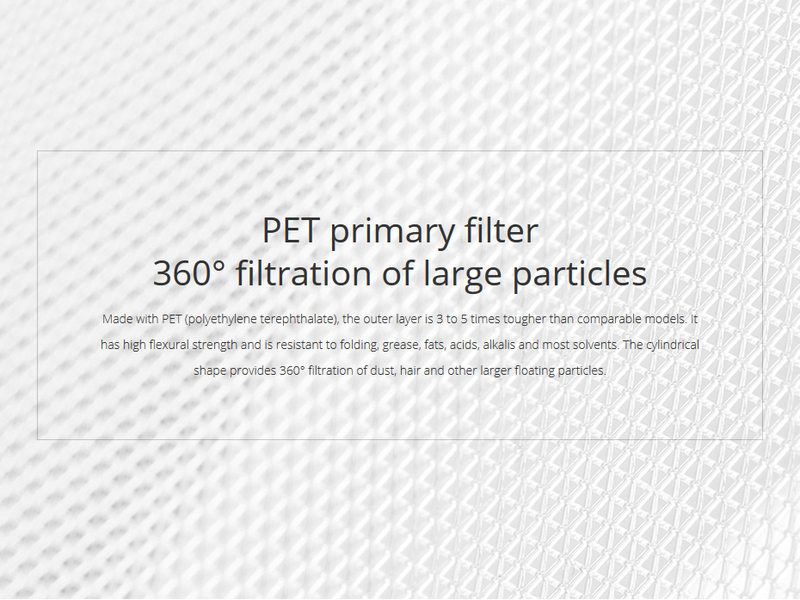 3 layers high-efficient filtration and purification (Primary filter, EPA filter and high-quality activated carbon) The cylindrical shape provides 360° filtration of large floating particles and harmful substances. 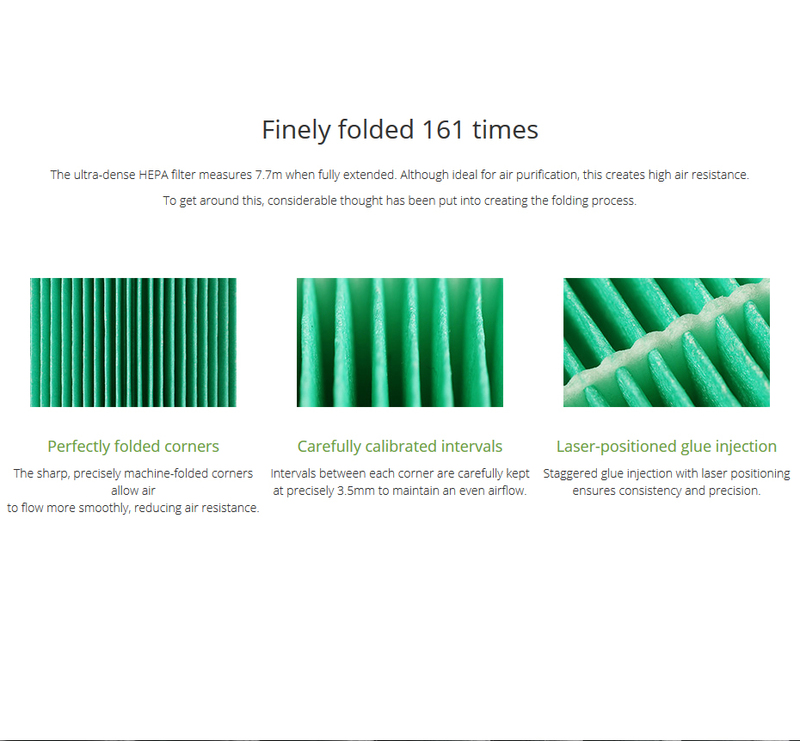 It has high flexural strength and is resistant to folding, grease, fats, acids, alkalis and most solvents. 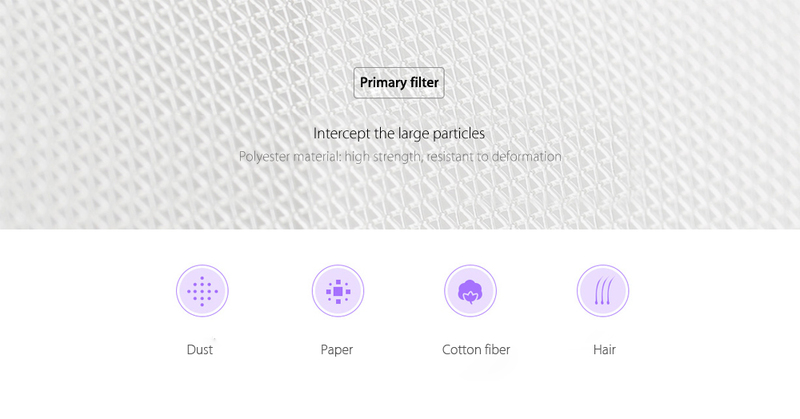 The cylindrical shape provides 360° filtration of dust, hair and other larger floating particles. 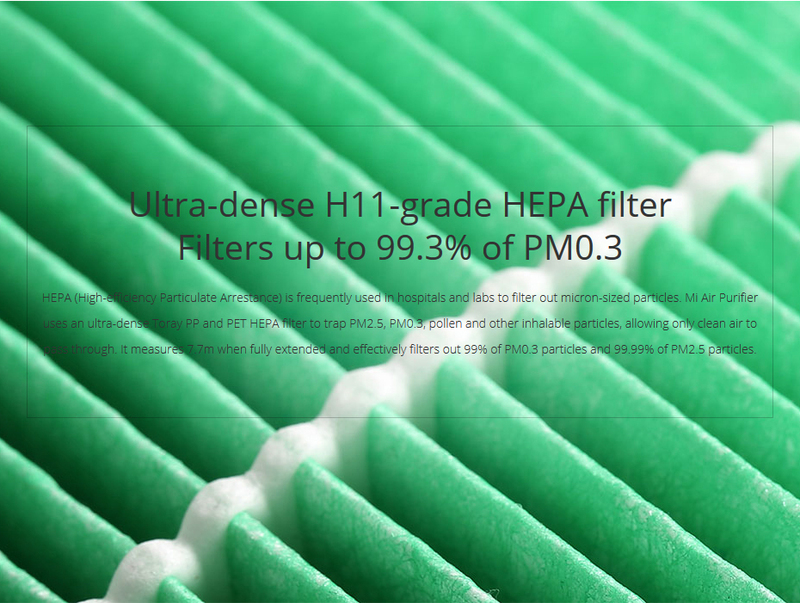 HEPA (High-efficiency Particulate Arrestance) is frequently used in hospitals and labs to filter out micron-sized particles. 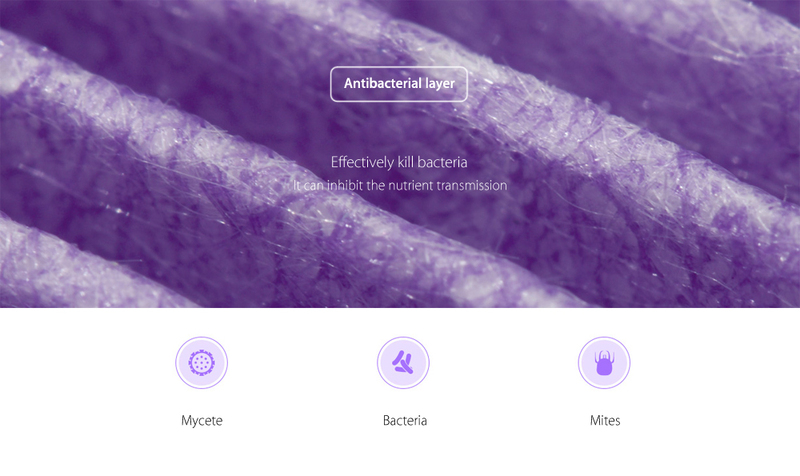 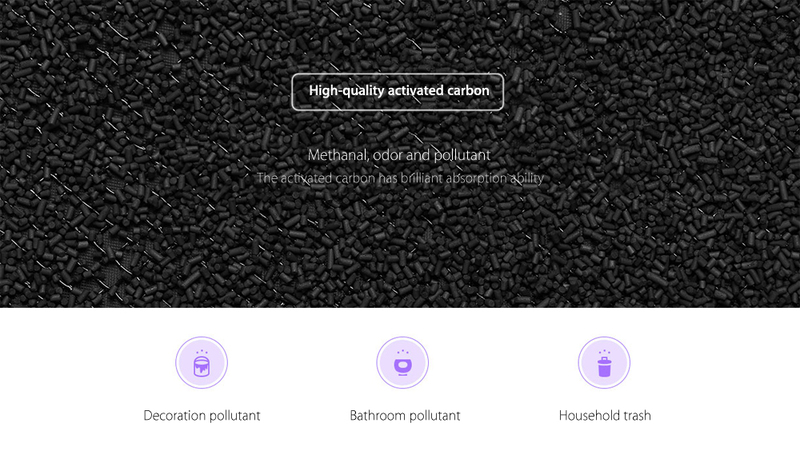 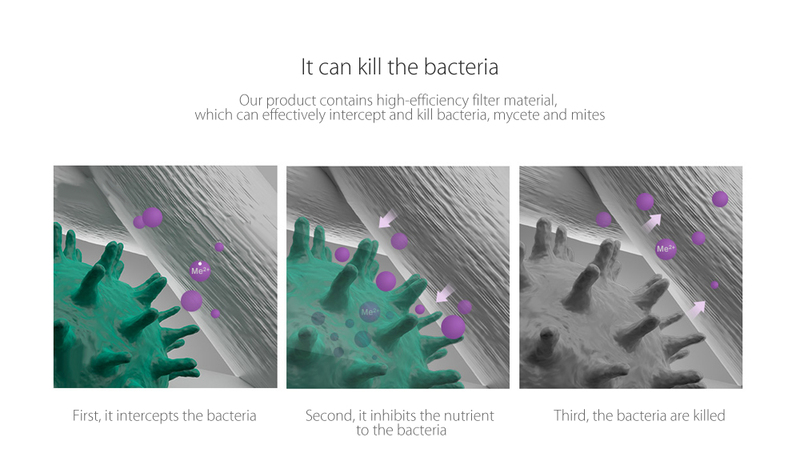 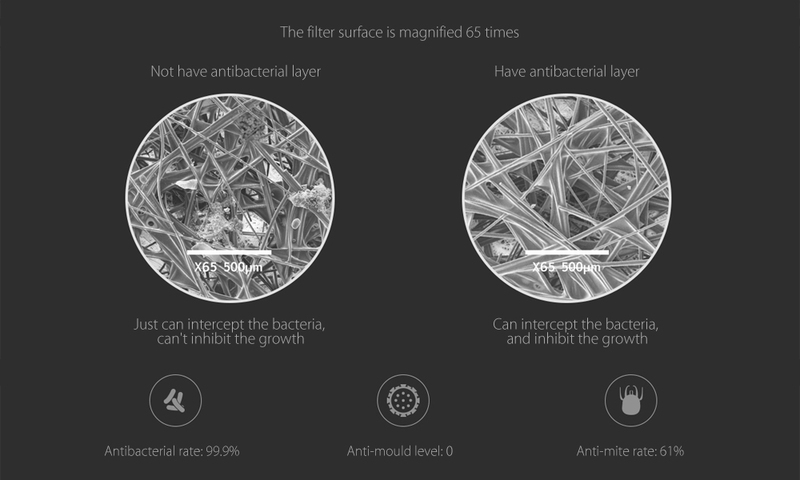 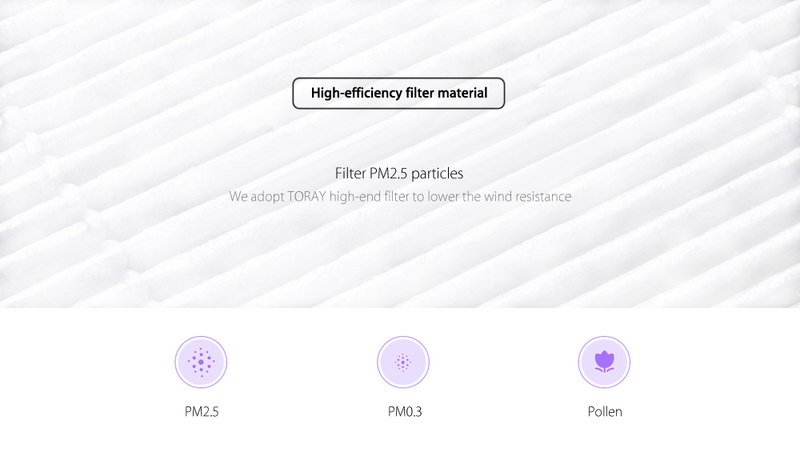 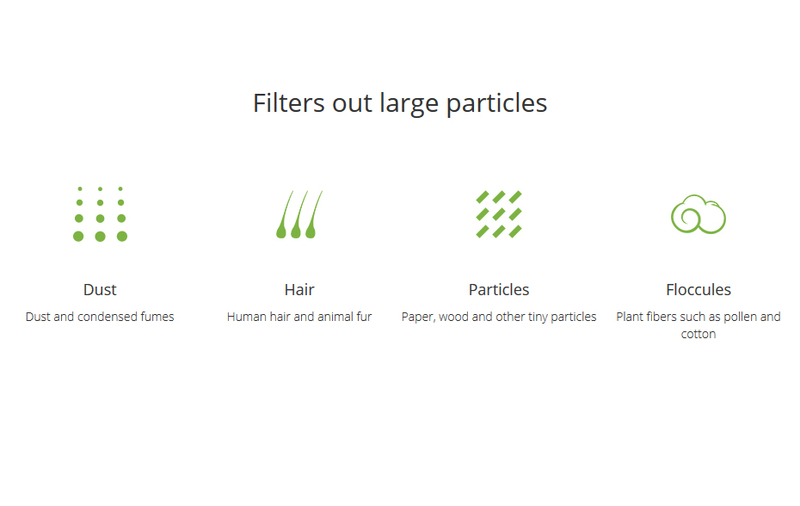 Mi air purifier filter uses an ultra-dense Toray PP to trap PM2.5, PM0.3, pollen and other inhalable particles. 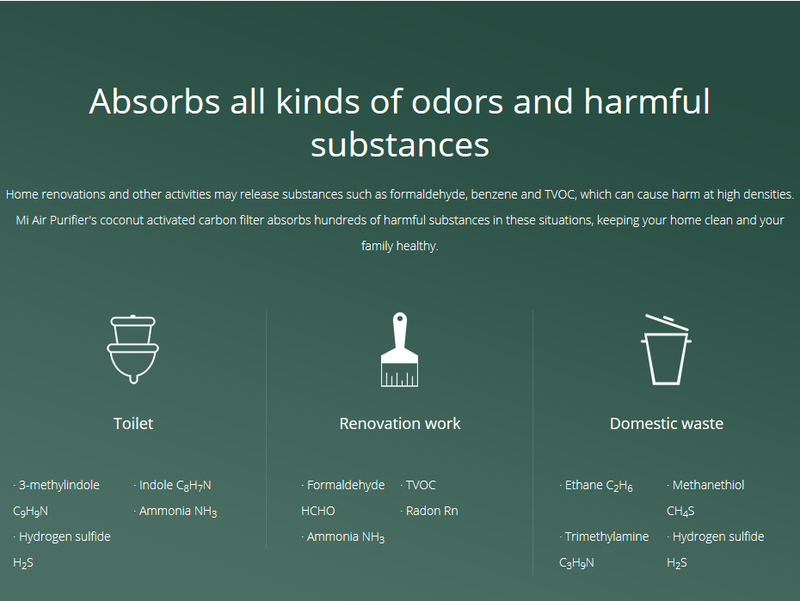 Home renovations and other activities may release substances such as formaldehyde, benzene and TVOC, which can cause harm at high densities. 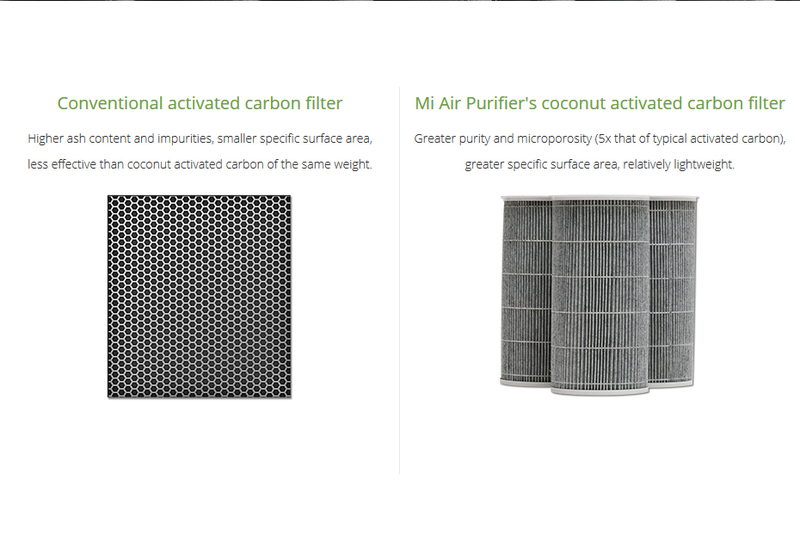 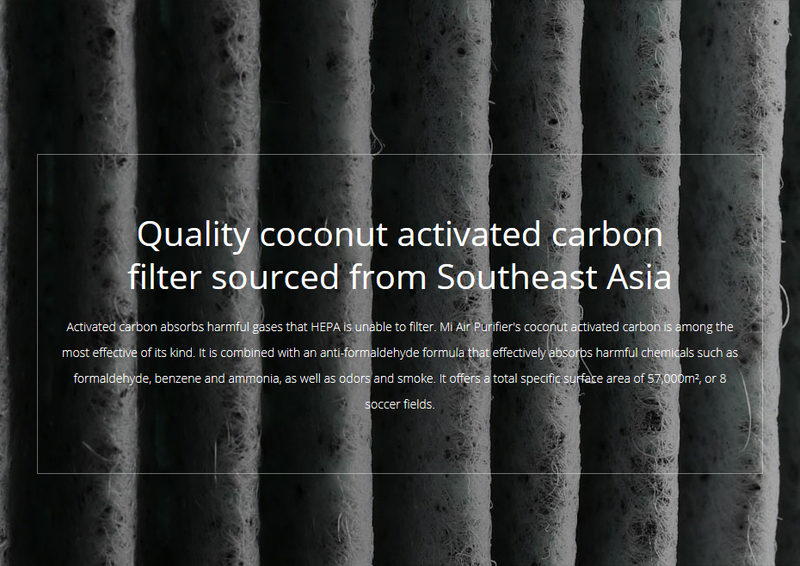 Mi Air Purifier's coconut activated carbon filter absorbs hundreds of harmful substances in these situations, keeping your home clean and your family healthy. 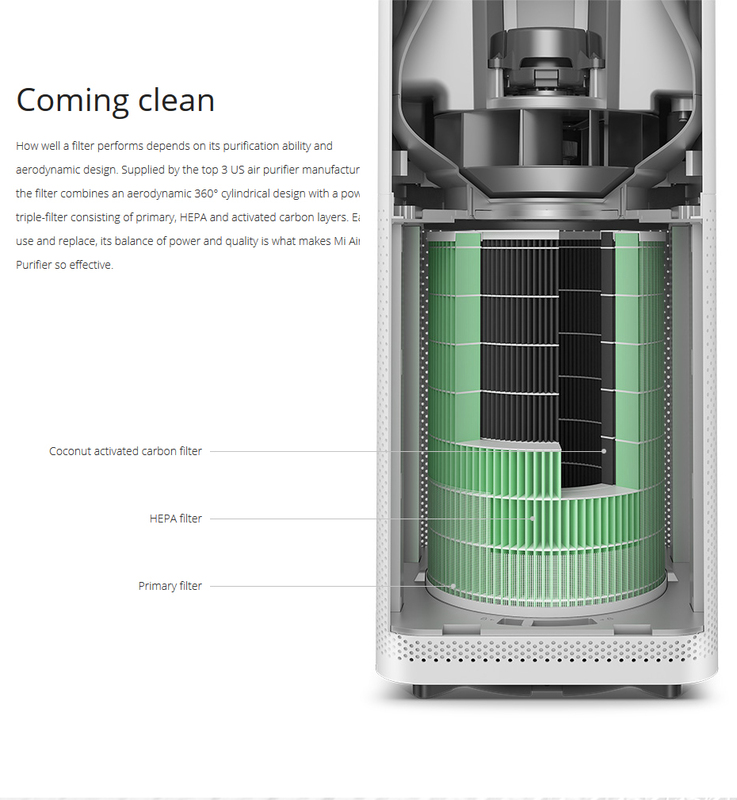 All filters lose effectiveness over time and must be replaced promptly. 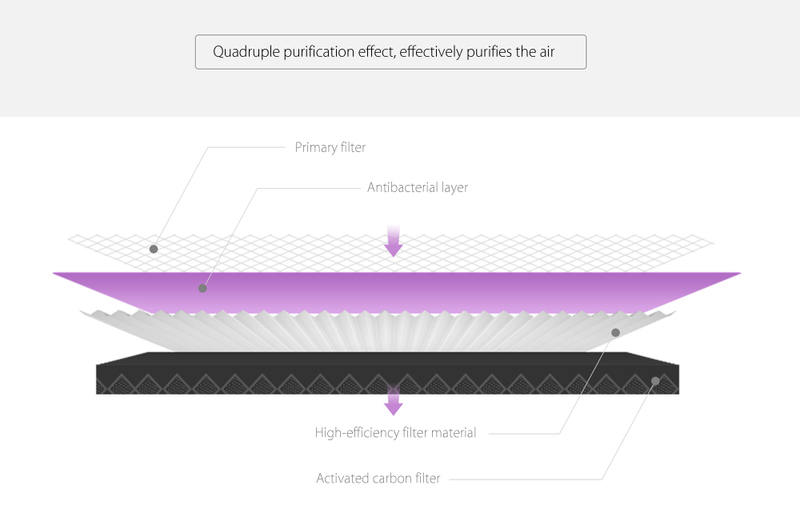 Filters not replaced on time may not be able to block harmful substances or may cause secondary contamination. 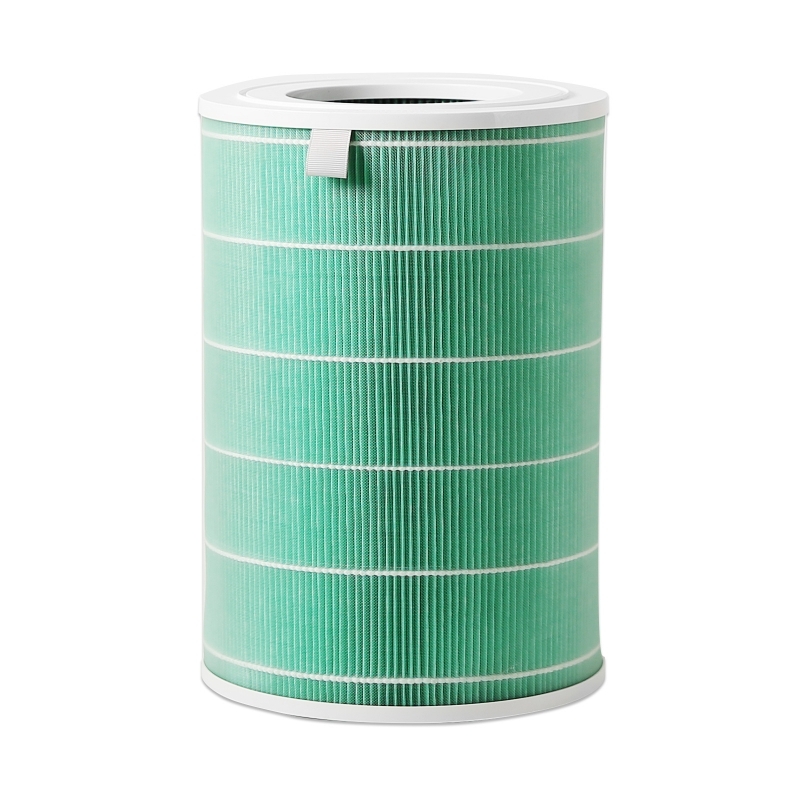 Contrary to what others may advertise, cleaning old filters with water or a vacuum cleaner does not guarantee that the filter will regain its effectiveness. 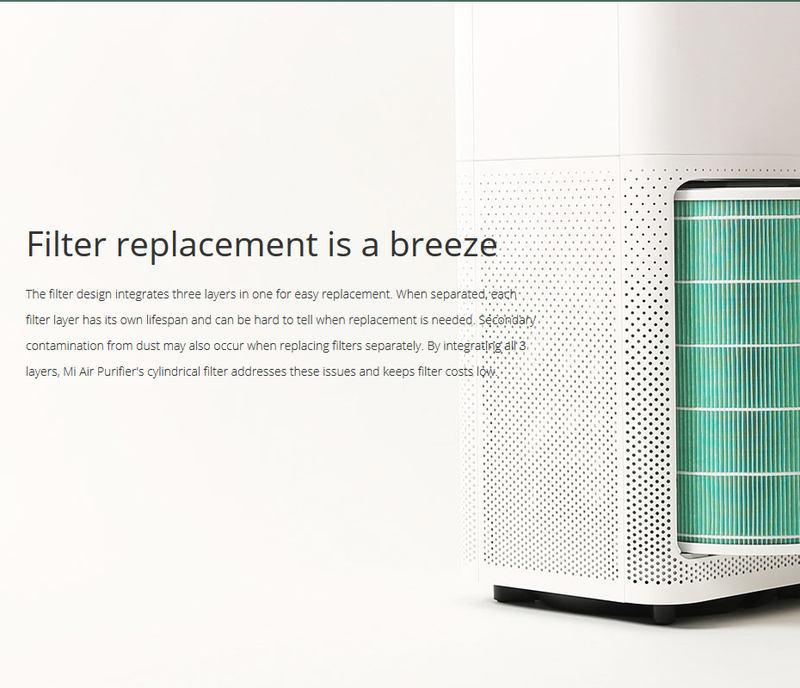 We recommend you change filters every six months or less, depending on your usage. 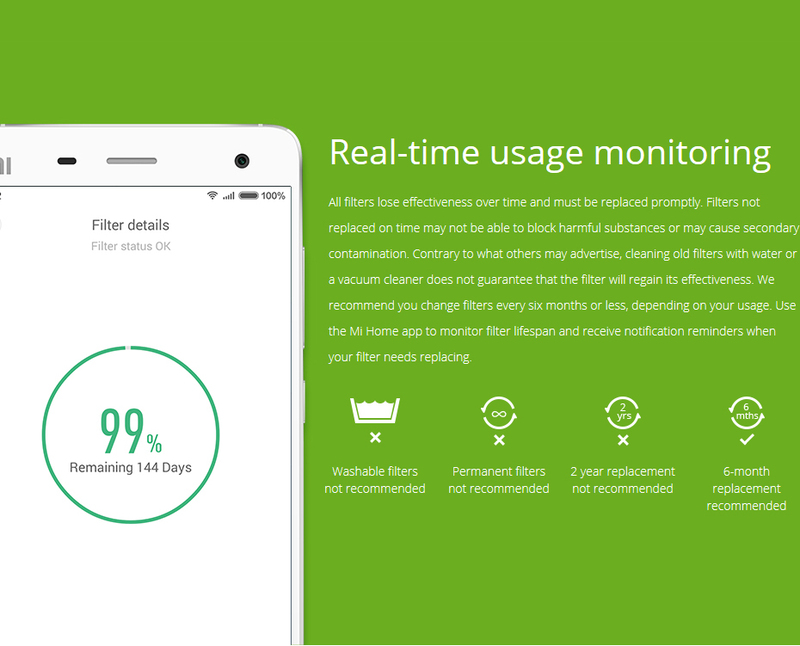 Use the Mi Home app to monitor filter lifespan and receive notification reminders when your filter needs replacing.